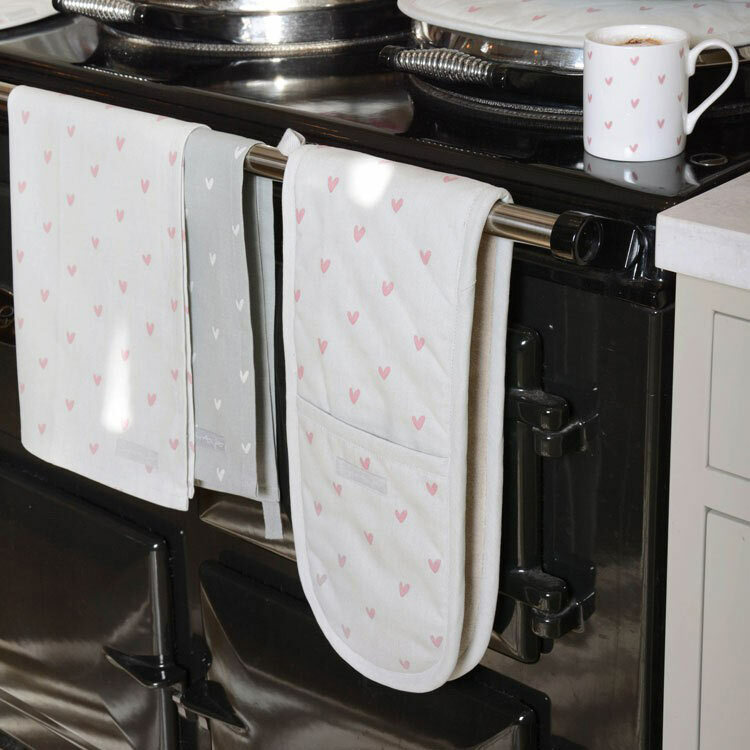 For 2017, Sophie Allport debuts a brand new range of kitchen and dining table linens - Hearts. 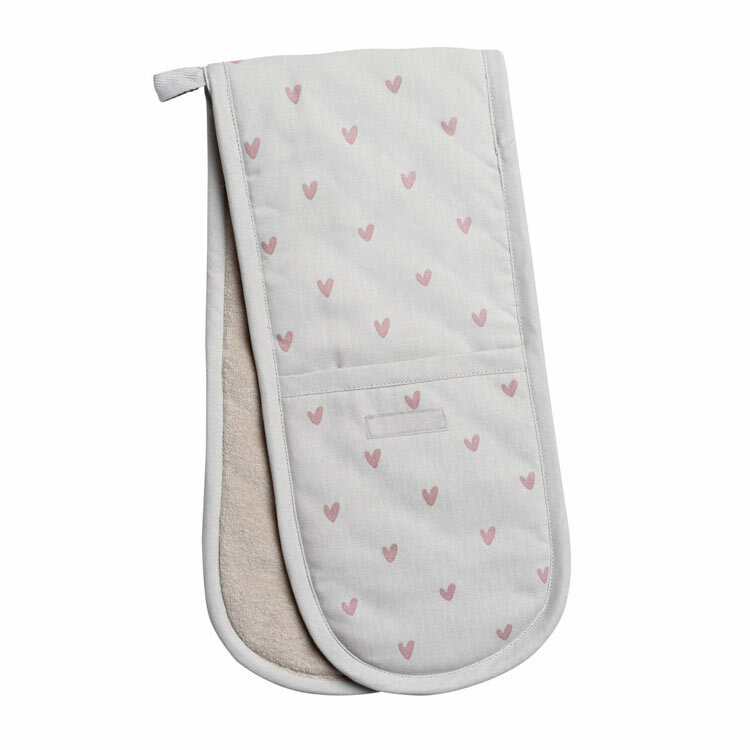 These feminine oven gloves are decorated with small, pale pink hearts against a neutral, grey background. 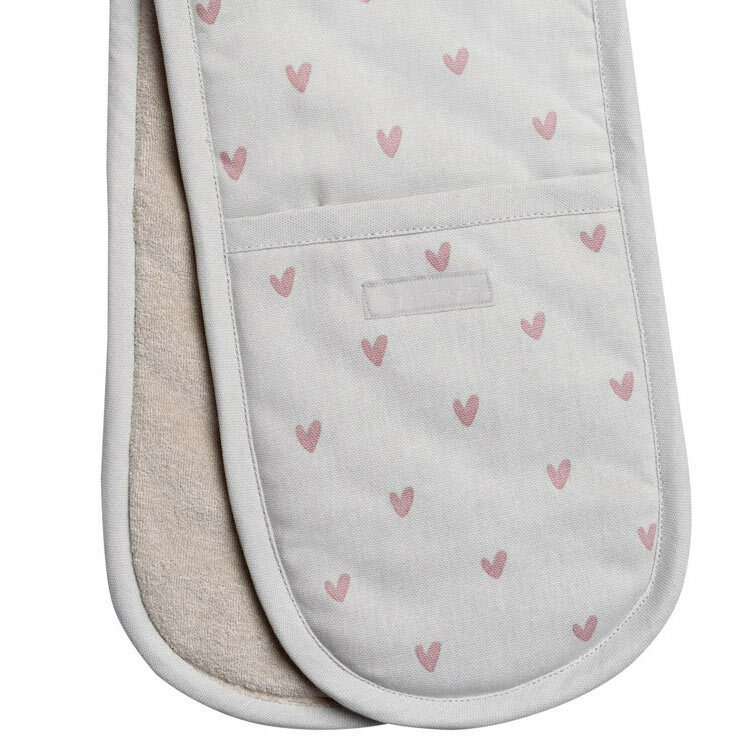 And as with all of Heart to Home's range of kitchen accessories, they don't just look lovely - no matter how good they look, nothing makes the Heart to Home kitchen unless it is fit for purpose. In the case of oven gloves, of course, that means they need to stop your hands from getting burned. And although these oven gloves are 100% cotton, you can be assured they're chunky, heat-resistant, hard-wearing and practical, so you'll be admiring these double oven gloves in your kitchen for a long time to come. They also have a useful loop in the middle so you can hang them from a hook in your kitchen. 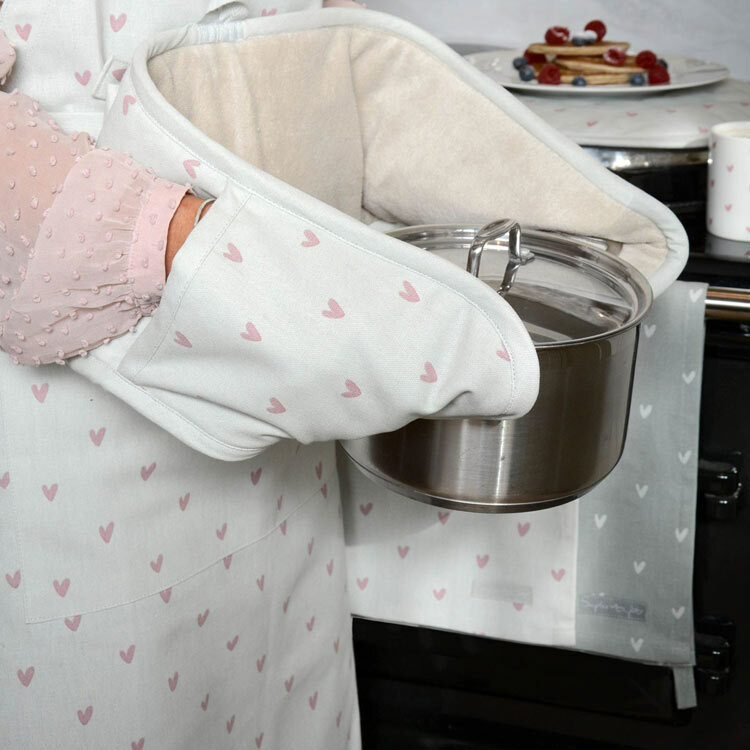 If you like these, you may be interested to know that the Hearts range also includes an oven gauntlet, tea towel, hob cover and hand towel for the kitchen as well as fine bone china jugs and 100% cotton napkin sets for the table. Lovely kitchen linens, inspired by the British farmyard and countryside and hand made in Britain, with love. Give your pegs a home of their own with these stylish and practical peg bags, hand picked for you from Heart to Home.